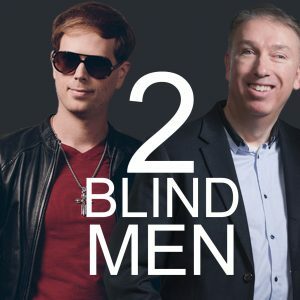 On June 1st, Scott MacIntyre launched an original podcast with friend and music industry colleague Mark Dowdy called “2 Blind Men.” The podcast initially launched with 3 episodes, and a new episode will be released the first Monday of each month to follow. Not only do Scott and Mark share a love of music, but they were both born blind. Each month, “2 Blind Men” will feature an inspirational guest. The lineup of guests includes people from all industries and walks of life who are having an impact on the world for good. Join “2 Blind Men” on Facebook, and follow @2BlindMen on Twitter for the latest news on the podcast.